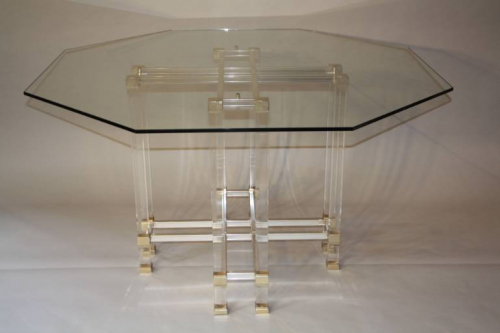 An octagonal glass top and lucite base Pierre Vandel dining or centre table. Will comfortably seat 8 max. An elegant and simple design which works with many interiors. French c1970.